Sure, butter is good for toast and cooking, but did you know it’s also a multi-purpose item? 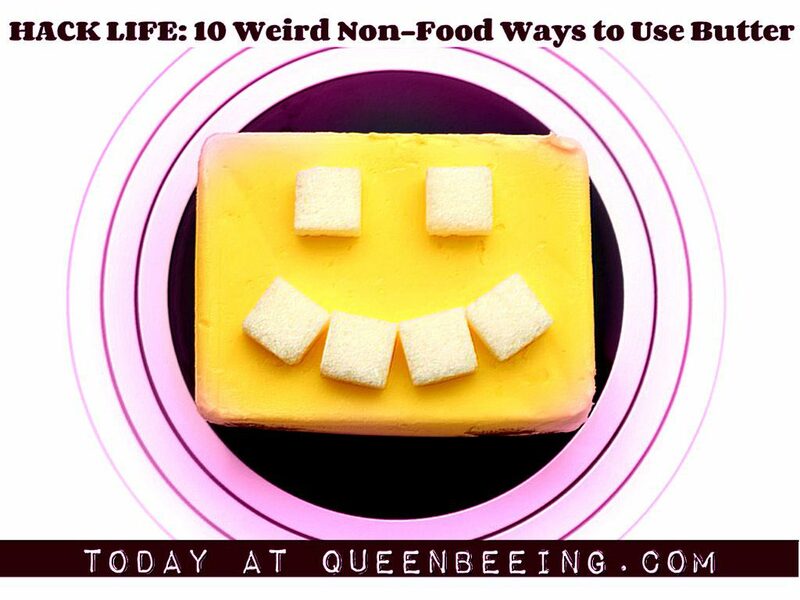 Here are some facts about butter and its many uses that might just shock you. Untangle your daintiest necklaces. Butter a knotted chain, especially a delicate one, and use a pin to untangle it. Wash in soapy water and you’re done. Lubricate a big pill or tablet. Makes it easy to swallow pills! Put a little butter on a pill before you choke it down! It’ll slide right down your throat like…well, you know. Get tree sap off of your car windows (and out of your clothing!). Same deal – apply butter with a soft cloth, wash the affected area – bam! Sap is zapped. Get gum out of your hair. It also works as a conditioner – bonus! (Peanut butter works well for this too!). Strengthen and moisturize your nails. Rub a bit of butter into each cuticle and put cotton gloves on before you sleep. When you wake up, your nails will be a little stronger and less likely to crack, thanks to the proteins from the butter. Plus, your cuticles will be much softer. Temporary WD-40. If you’re out of WD-40, butter will work in a snap to get rid of a creaky door hinge. Get a stuck ring unstuck from your finger. If your fingers are swollen and your rings won’t come off, butter can make it happen – just use it as a lubricant, preferably cold from the fridge. In place of shaving cream. Butter is an ideal way to get a close shave in a pinch. It’ll leave your skin soft and smooth too – it’s even recommended for foot massage. Gets ink off plastic stuff. Like Barbie dolls and whatnot. To brush your teeth. Some butter enthusiasts actually use butter in place of toothpaste. (I don’t recommend it, personally, but to each her own!). See more weird ways to use butter at WiseBread.com. What are your best “butter hacks?” Share your thoughts and ideas in the comments, below. Excellent point!! Thank you! I love to save money!